Visual, audible, smart. 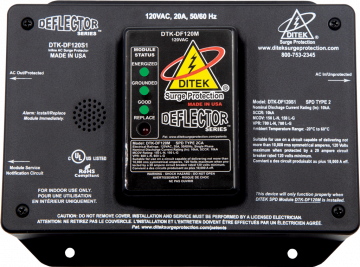 DITEK's Deflector DTK-DF120S1 sets a new standard for 120V AC Power protection. 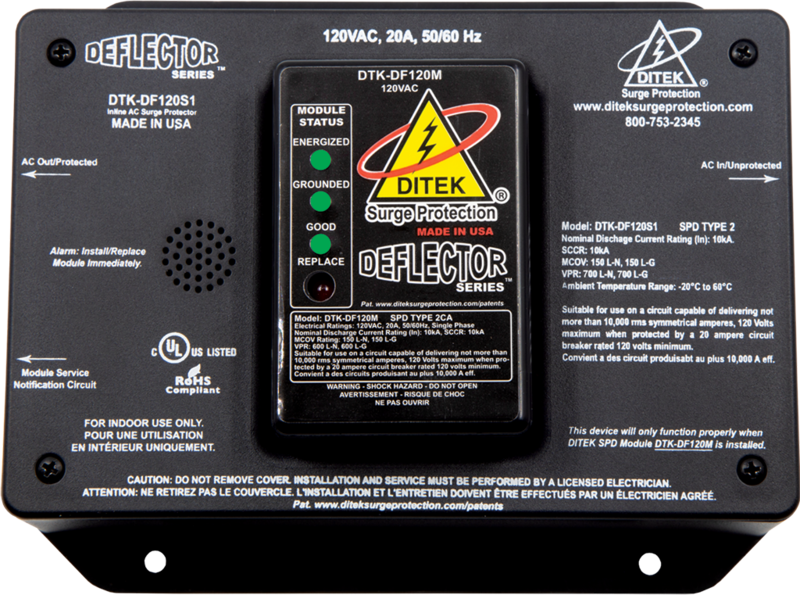 It's patented design provides maximum critical load protection by minimizing AC supply voltage spikes and isolating incoming surges that originate from lightning or other sources.